The benefits from juicing vegetables and fruits make juicing worthwhile. Trace minerals are the key to super nutritious fruits and vegetables! APPLES Fruit. "An apple a day keeps the doctor away." The great benefits from juicing apples can be yours! Apples contain an impressive list of nutrients, like vitamin C, beta-carotene, potassium, calcium, riboflavin, pyridoxine and thiamin, plus they are rich in anti-oxidants. Green apples are lower in sugar than red apples, plus they slow the disgestion of carbohydrates like breads, potatoes and sugars, and help to stimulate the pancreas. But be careful about juicing seeds and all. Apple seeds contain cyanide, enough to potentially harm young children, so exercise caution in juicing the seeds of too many apples. Always buy organic apples, as they are the number one fruit for retaining pesticides. ARTICHOKES Vegetable. A little bitter, but aids the liver in the detoxification process. ARUGULA Bitter green. Sharp, peppery flavor, considered one of the most anti-cancer foods. ASHWAGANDHA Herb. Some of the benefits from juicing the Ashwagandha root (also called Indian Ginseng): it contains anti-inflammatory, antioxidant, and anti-stress properties. ASPARGUS Vegetable. Asparagus is good diuretic, and some consider it a super food because of its high nutritional content. It helps regulate blood sugar levels. In fact, there are many benefits from juicing asparagus. For one, it contains high levels of vitamin C, beta carotines and glutathione, which make it is a great cancer fighter. I add asparagus every time I juice. Though I prefer organic veggies, our organic asparagus got pretty expensive (like 1/3rd of our juicing budget), so we decided to just get regular asparagus, since it retains very few pesticides. For the highest nutrient levels, get the smallest stocks of asparagus available. AVOCADO Fruit. Avacados are loaded with anti-oxidants and are nutrient dense. However, I especially like to add avacado to my vegetable juice because it is a wonderful source of protein and beneficial fats. During juice fasts, it is important to supplement your juice with fats and proteins, since fruit and vegetable juice generally has very little of these essential nutrients. Avocado contains very little water, so you can't really juice it. However, you can run it through your juicer, catch the pulp, and then stir that into your juice. If you can't afford to buy organic avocado, you will be glad to know that avocado tests very low for pesticides. BANANAS Fruit. Bananas just don't contain much water so you can't really juice them. However you can run themthrough the juicer and catch the pulp, then add the pulp to your juice. It is commonly known that bananas contain a large amount of potassium. They are also high in magnesium and vitamin B6. Bananas can be frozen and then run through the juicer for a delicious sorbit. I also like to add in a few frozen strawberries and blueberries! BASIL Herb, Mint. What are the benefits from juicing Basil? Basil sprigs contain exceptionally high levels of beta-carotene, vitamin A, cryptoxanthin, lutein and zea-xanthin. Basil oil is an antioxidant, is antiviral and antimicrobial, thus making it potentially helpful in treating cancer. It is said to help enhance blood circulation in the brain, which may help one to think more clearly. Some claim it can help to treat Attention deficit disorder and ADHD. Therefore the benefits from juicing basil make it worthwhile to include a little every time you juice. BEANS Vegetable. Provides energy while helping to stabilize blood sugar. A great source of protein. BEET ROOTS Vegetable. It’s high in sugar, and adds sweetness to juice (though not so good for diabetics). Roots, stems and leaves may all be juiced. Can help to cleanse and support the liver. Again, this is one of those items that I purchase every week for juicing. The first day or 2 I juice the beet tops, then juice a beet root a day. Beets are very strongly pigmented (good for you), but be careful, the juice can stain anything they touch. Beetroot juice may lower blood pressure. In a study at St Bartholomew's Hospital in London participants who drank 20 oz. of beetroot juice showed significant reduction in blood pressure within 2 1/2 hours. They linked this affect to the nitrate found in the beetroot, which reacted with bacteria in the mouth and resulted in blood vessels dilating. BEET TOPS Dark green, Bitter green. Tangy, with a hint of mustard flavor. Helps to detoxify the liver. Beet tops are one of the dark greens, so they are a good source of wonderful chlorophyll. BELL PEPPER Vegetable. The benefits from juicing bell peppers is that they are a good source of vitamin C, thiamine, vitamin B6, beta carotene, and folic acid. They also contain a good amount of phytochemicals with exceptional antioxidant value. My wife and I like to add a slice to spice up the flavor of our juice. BLACK RADISH Vegetable. It’s bioflavonoids help with heavy metal detoxification. Rich in vitamin C, the B vitamins, and sulfur. It has a strong bitter flavor and can cause bloating. BLACKBERRIES Fruit. This fruit is loaded with the antioxidant anthocyanins, which is great for decreasing inflammation. It is also a good source of the vitamin folate, and contain Omega 3 fatty acids. If frozen, thaw before juicing. BLUEBERRIES Fruit. There are many benefits from juicing blueberries. They are high in phytochemicals, which is a useful tool in getting rid of belly fat. Though they are sweet, blueberries are still helpful in preventing type 2 diabetes, and if you already have diabetes they can help to improve insulin sensitivity. It is best to purchase only organic blueberries, as they do tend to retain pesticides. The problem I have with juicing blueberries is their texture. For my Omega 8004, blueberries produce a lot of solid matter in my juice, which isn't much fun to swallow. BOK CHOY Vegetable. Of the cabbage family, bok choy has a mild flavor and is a bit sweet. The benefits from juicing Bok choy is that it has powerful antioxidants, is high in vitamin-A, vitamin-C, beta-carotene, calcium and dietary fiber, and contains potassium and vitamin-B6. BORAGE Herb. Thought to have the power to help the memory and ward off melancholy. The leaves add a cucumber flavor. BROCCOLI Vegetable. More vitamin C than an orange, has antioxidant beta-carotene, promotes healthy vision, anti-inflammatory, and has detox support nutrients. Great for diabetes. BRUSSELS SPROUTS Vegetable. Green beans and brussels sprouts are the only two vegetables that contain natural insulin. A mixture of two ounces of juice from each of these vegetables is considered one of the best juicing recipes for diabetics. BUGLEWEED Mint. Bugleweed is highly recommended for anxiety disorders, nervousness, and for helping people with insomnia. BURDOCK Herb, Wild green. One of the best plants for cleansing, and a wonderful digestive herb. 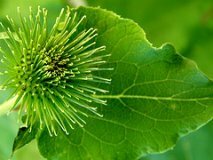 Burdock resembles belladonna, which can be deadly if injested, so be very careful when picking burdock to get the right plant. The left picture is of Burdock, which can be juiced. The picture beside it is of poisonous belladonna. If you aren't sure, please don't take a chance. BURNET Herb. Are there benefits from juicing Burnet? Yes, it is supposed to be good for colon health, and is recommended to help to reduce hemorrhoids and varicose veins. Also known as Pimpernel, this hardy perennial does well with low light and will still be putting on leaves when most plants have died of frost. Juice the young leaves for a cucumber flavor. Go to juicing item group C - E , F - K , L - N , O - R , S - Z. More information about the categories Bitter green, Dark green, Fruit, Herb, Mint, Spice, Vegetable, and Wild green, click here. 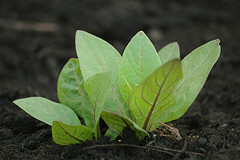 The best way to get healthy vegetables is through healthy vegetable gardening. Yes, you can buy organic produce at the store, but how many days old is it by the time it gets to you? One of the joys of having my own garden is that I can pick fresh produce for juicing pretty much any time of year. 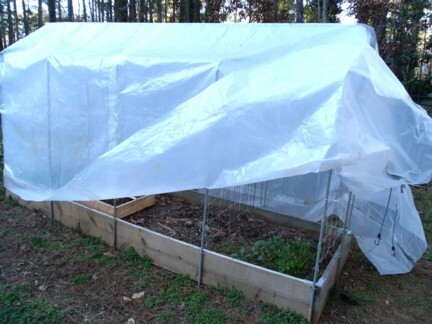 Of course, in the winter my choices are a bit narrower, but thanks to my little greenhouse, I am still harvesting lettuce and parsley in mid-winter. 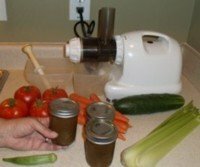 Another advantage of juicing right out of your garden is that you can get additional benefits from juicing by loading what you grow with nutrients. To begin with, you will want to build up your soil. You can do this by composting and adding this to the soil. 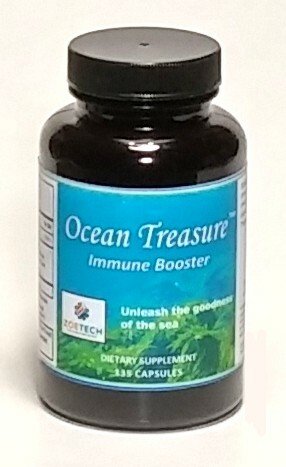 You can also get a product that contains a lot of sea minerals, loaded with trace minerals, and increase the nutrition of what you grow. They also make vegetables taste really good! helpful to you as well.